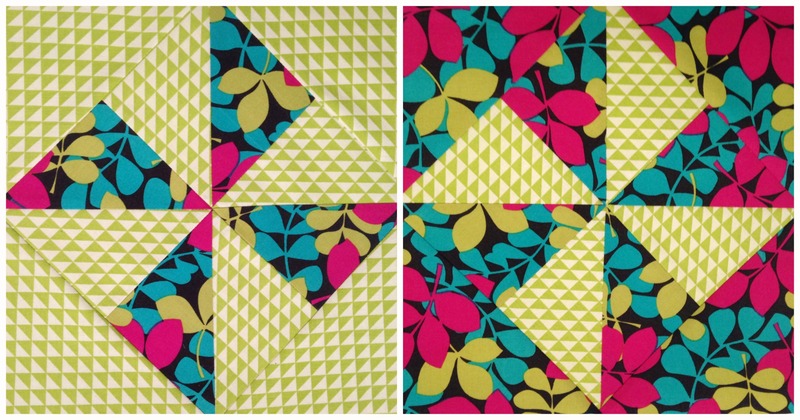 With a comforting mug of tea settling next to the keyboard and my written notes laid out before me, let’s explore the latest instalment in my quilt block tutorials – the Pinwheel Block! Inspired by a block in the book ‘500 Quilt Blocks’ by Lynne Goldsworthy & Kerry Green, the Pinwheel Block is deceptively easy! Here’s what you need to do to make this block! Final block size: 25.4cm or 10″ square. PS. Regarding my Christmas videos: These will begin in December, with the first one due to come out on Wednesday the 3rd! Then every Sunday & Wednesday upload, until the end of the month will be Christmassy related! Whoo! (This is just incase I didn’t really explain it well enough in the video!) I hope you will all enjoy the ideas and projects I have in store! I’m not all that fussed about threads. But in saying that, I tend to always use Gutermann Polyester thread in an off white/cream colour when I’m piecing and polyester or cotton when I’m quilting. Thanks for your tip with the thread. Very helpful! Thank you for the excellent tutorial. Your blocks are so pretty.